My introduction to Kenya was through two real-life stories — the man-eaters of Tsavo and my father’s Zanzibar-wale Mama who had two wives. This was before I knew about Africa being the cradle of humanity and the last great wilderness (even then, the two wives story fascinated me more!). The species in question that migrated out of Africa has colonised every nook and cranny of the world, but the ones that have remained stir an irresistible urge in us to visit that once Dark Continent, luminous with a profusion of untamed wilds. The expansive savannahs with rivers of wildebeest and zebras swirling in a golden eternity of plains had always invoked wonder in me. The catalyst to this trip was my naturalist father, who recently suffered a brain stroke. As he recuperated, we decided to take him to the ultimate wilds, which we believed would be a healing space for him. 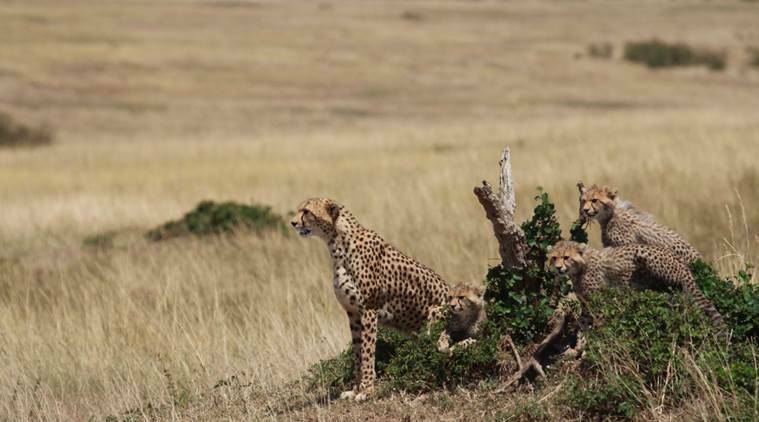 Once in Kenya, I realised the land is much more than the iconic Maasai Mara and its annual migration of millions of animals — the biggest wildlife spectacle on earth. It is thick jungles and massive lakes that stretch up to the horizon. It is snow-capped mountains near the Equator and the Great Rift Valley, flanked by rocky ridges. It is wild animals walking into your resort with the confidence of someone who knows it is their space, not yours. It is the stories and histories of struggle of survival of the peoples and the wildlife. As we drove into the mountains of the Great Rift Valley, with the cold wind making pinpricks on our skin, our driver told us about how the country got its name from Mount Kenya. The German explorer Johann Ludwig Krapf had asked the trader Chief Kivoi Mwendwa what the hill they were passing by was called. Chief Kivoi said it’s Kiinyaa (meaning male ostrich) because its peak with white snow over black rocks looked like a male ostrich. And lo, we got Jamhuri ya Kenya! We were struck by the abundance of two things — hair-extension billboards (I was told around 90 per cent of the women go for hair extensions) and frolicking zebra herds. 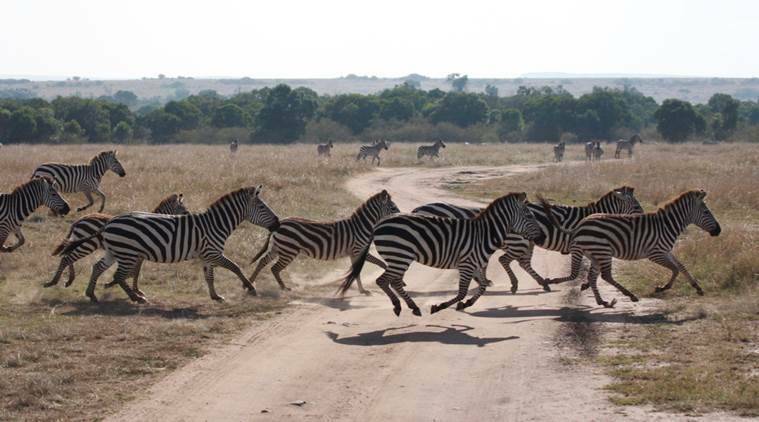 Our first brush with zebras was right on the side of the highway! They trotted about with swag in the roadside fields that were dotted with yellow acacias, making us gasp and grin like idiots. We couldn’t stop giggling later in the day, when, on a drive around the scrub forests of Lake Nakuru, we came across two wild-maned lions sleeping on a tree-top, cuddling like koalas. When, soon after, we saw a majestic leopard stretched on a bone-dry tree, we buzzed like disturbed bees in our jeep. And then, on the rather dramatic shallow shore of the algae-filled soda lake, we were positively livid as we saw a Marabou stork worrying with a plastic bottle some descendent of the apes left behind. The haunting sun-lit Lake Naivasha, with the black, drowned trees raising their arms in an everlasting plea, was the showstopper for me. We sat sipping on tea in the gardens of our lodge along with wild zebras, giraffes and waterbucks peacefully grazing by our side. We shared our evening wine with the hippos, who had come out of the lake after dusk to feast on the grass in the gardens. Yes, we all imagine Africa with plethora of animals. But I had not imagined them walking by my side and doffing their hats to say good evening before continuing with their high tea. In the Mara of the Maasai, gold resonates in the cold winter air. All you can see is the sepia-tinted earth and an intense blue sky. Every morning, we hug our jackets as we go for the early runs into the endless grasslands stretching into Tanzania’s Serengeti. Lions sleep, wait and mate, crocodiles lurk and grin at the wildebeest trying to take a leap of faith in the Mara river, warthogs patiently attend to family duties, hyenas laugh, steal and run away, cheetah mothers tuck their babies behind lone bushes before they sprint after impalas, and hippos eat and eat and disperse their faeces with their tails, standing bum to bum in the waters, as they say hello to each other. While the wilds may stir your deepest longings, this way of greeting is not very moving, if I may say so. We had to meet the people who actually live among lions. On our visit to a Maasai village, the chieftain’s son claimed that building a hut after marriage and taking care of children is clearly a woman’s duty. All that the alpha male has to do is not kill a lion any longer, but jump the highest to secure a good woman. What more, after a few clicks with the Maasai, some cheeky men clad in red blankets and silver jewellery asked my father, “How many cows for this one?” pointing at me! With wild exultation still buzzing in our bones and the golden grass singing in our ears, uncharitable thoughts crowded our mind about the vagaries of civilisations when we return to Nairobi. But then, how many of us will trade our comforts to live in that Maasai village right out of The Gods Must be Crazy (1980)? What more, you need a certain kind of impudence to live among the lions. Not the kind that would make Baba Ramdev suggest pranayam to the lions as a cure for non-vegetarianism. Too much impudence to handle during the election fever, you say? Cast your vote, and go to Africa!